Located just on the other side of the California border with Mexico, Baja California is an enchanting peninsula of beaches, deserts, coral reefs, stunning views, and charming coastal towns dating back to the Colonial era. The Mediterranean climate and laid-back lifestyle will make you feel at ease as you soak in the sun and enjoy the beauty and tranquility of this underrated gem of a vacation spot. Whether you’re in Baja for a little R&R in the peninsula’s countless resort towns, or if you want some fast-paced fun and excitement in the big cities, this unique region of Mexico will grant your wish and leave you with memories that’ll last a lifetime. 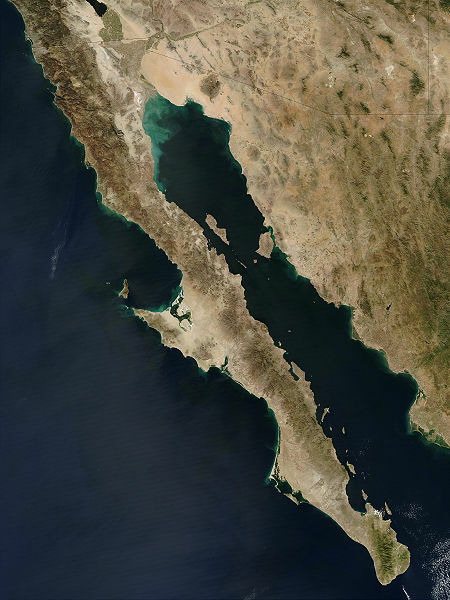 A little background on Baja: Human settlement in the region dates back thousands of years ago. Native Americans groups such as Kiliwa and Quechan lived in the north while the Cochimi dominated the sparsely populated south. European exploration of Baja began in the 1500‘s and it remained part of the Spanish New World until 1822, one year after Mexican independence. Tijuana, Baja’s biggest city, is now Mexico’s leading center for the controversial maquiladoras or low-wage, duty-free manufacturing plants. Baja is also a leading agricultural producer, bringing in many immigrants from other Latin American countries, and its major port city of Ensenada is one of Mexico’s largest fishing areas. 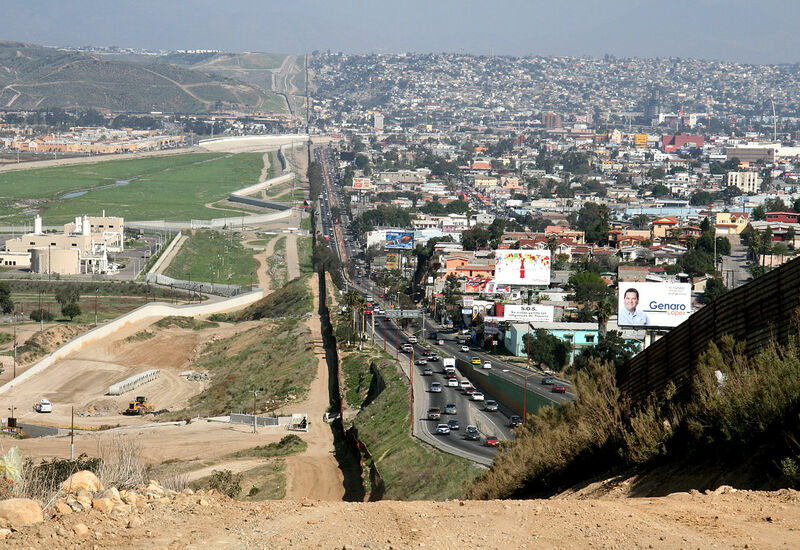 Tijuana: This huge metropolis just south of San Diego has gotten a bad reputation over the years for criminality. The good news is that crime has gone down sharply in recent years and the city is mostly safe to explore. One of Tijuana’s best attractions is the Avenida Revolucion in the city’s center. It’s not only the safest part of the city, but it’s also full of numerous souvenir shops selling exotic trinkets at bargain prices. The Avenida is a great representation of Tijuana’s cultural diversity. For a more traditional shopping experience, visit the Mercado Hidalgo open-air market, selling a huge variety of spices and exotic produce. For something family-friendly, the small Mundo Divertido Amusement Park has mini golf, batting cages, and various amusement rides. History buffs can check out Museo de las Californias which has great displays on the region’s past including replica cave paintings and replica Spanish ships. For an escape from the city’s hustle and bustle, take a cruise around the nearby Coronado Islands. The islands themselves cannot be visited, but the surrounding waters are prime locations for whale watching, bird watching, and scuba diving. Be sure to keep up to date with State Department travel warnings and keep on the lookout for pickpockets as well as corrupt police if you plan on going to Tijuana. Tecate: For those who want a quick dip into Baja but want a quieter alternative to Tijuana, Tecate is the perfect choice. Tecate is right near the U.S. border about 25 miles east of Tijuana. The city is best known for Tecate beer which is enormously popular on both sides of the border. You can take a guided tour of the Cuauhtemoc brewery and get a free sample of their freshly made beer. Other attractions in Tecate include the Parque Hidalgo where you can indulge in the beauty of a small lake and a topiary clock. To make your trip extra relaxing, visit the 3,000 acre Rancho La Puerta spa where you’ll be treated to fitness activities, manicured gardens, wonderful hiking trails, and scenic views. 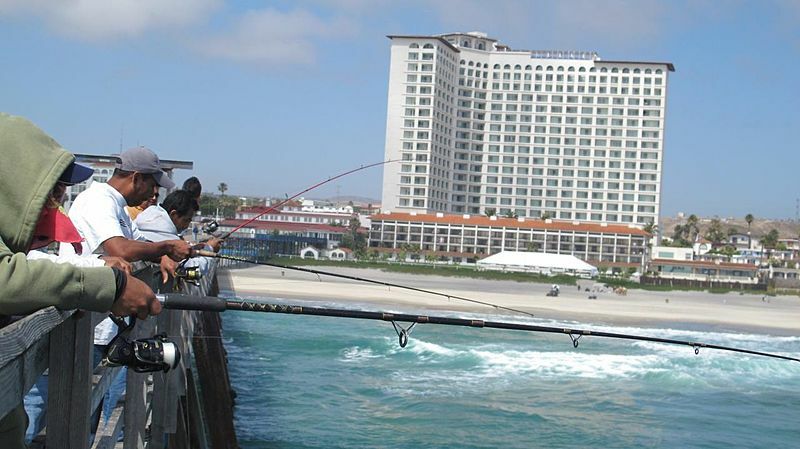 Rosarito Beach: Located only 10 miles south of the border, Rosarito is a popular beach town that is perfect for fishing and surfing. A highly unique attraction is the film set of the movie “Titanic” where you can see the full-scale model ship that was made for the movie. Boulevard Juarez offers great shopping opportunities where visitors can see the best that local artisans have to offer including onyx chess sets, silver work, and more. Cap off your visit by taking a camel ride along the beach or through nearby Rosarito Canyon. Ensenada: The biggest city in Baja, Ensenada is a vital international trading port and tourist center. One of the best attractions is the former Riviera del Pacifico hotel/casino, now called the Centro Social, Cívico y Cultural de Ensenada. In addition to beautiful gardens, an open-air theater, and mosaic art, it houses a historical museum that educates visitors about Baja’s rich history. If you want fun and festivities, come late February through early March for the Carnaval Ensenada, one of Mexico’s largest street festivals. For a great hiking trip, check out the El Salto Canyon between Tijuana and La Mision. El Salto’s claim to fame is its majestic 100 foot waterfall. 19 miles north of Ensenada lies one of Baja’s most visited attractions: the soaring La Bufadora geyser, one of the largest in North America. Finally, take a dip in the Rancho San Carlos Hot Springs set in a tranquil oasis of the Sierra Juarez mountains. La Paz: This peaceful city is the capital of southern Baja and sits right on the Sea of Cortez which famous ocean explorer Jacques Cousteau called “the aquarium of the world.” In fact, La Paz is one of the few areas in any part of the world where you can go snorkeling with whale sharks. La Paz may be a big city, but it’s very relaxed and offers phenomenal beaches set against the crystal-blue waters of the Sea of Cortez and the surrounding desert landscape. Cabo San Lucas: This resort city at the southern tip of the peninsula is undoubtedly one of Mexico’s finest gems. Cabo boasts some of the best scuba diving and fishing in the world. Right off the coast are colorful coral reefs teeming with a huge diversity of marine life including sea turtles, tropical fish, and beautiful sponges. If you don’t want to get wet, you can take a ride on the Cabo submarine in an air-conditioned semi-submersible. If you’re in an especially adventurous mood, you can rent an ATV or mountain bike and tour the breathtaking scenery of sand dunes, mountains, and beaches around Cabo. The city also has dozens of golf courses to choose from and no shortage of condos if you’re thinking of moving or living there part-time. An underrated attraction in Cabo is the glass factory where you can see the time-honored tradition of glass blowing first-hand. Todos Santos: While Cabo San Lucas has great charm and beauty, some may find the crowds of American tourists and tacky souvenir shops a bit too much for their liking. The picturesque artist colony of Todos Santos, one hour north of Cabo, offers a great alternative to Cabo’s party atmosphere. Todos Santos sits on the Magadalena Bay where gray whales migrate in the winter mating season. This little town is only one of 30 in Mexico to receive the honor of “Magical Town” for having retained its cultural integrity and natural beauty. Todos Santos has great beaches, surfing, whale-watching, and an art festival held every February. One of the best places to stay is the Hacienda Cerritos, a classical Spanish-style resort set on a bluff overlooking the ocean. -And if your destination is La Paz, there is the Beth Yona Chabad located at Jose Maria Morelos #589, Colonia Centro; it can reached at 52-1-612-348-8808. Where to Eat: As mentioned before, the Centro Social Israelita de Baja California has a kosher restaurant, named Tante Jane. In Cabo, all catering for events at Casa Shalom are kosher and you can probably order kosher take-out directly from the shul (call them for more info). Otherwise there is a local Costco where kosher food might be available. Getting around: Going from Tijuana, Highway 1 will take you all the way to Cabo San Lucas at the southern tip of the peninsula and many places in between. It’ll also let you experience some phenomenal scenery along the way. Otherwise, many cruise lines sail to Baja and all of Baja’s major cities have their own airport.